How to set colors to canvas and elements. CS-Cart Product Designer. 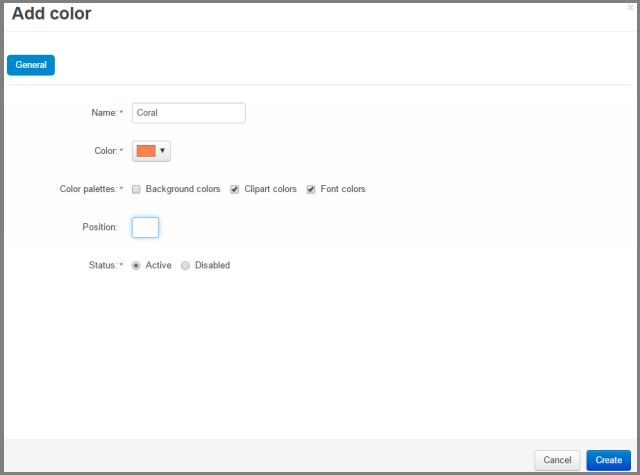 Home Knowledge base User Guide to CS-Cart "HTML5 Product Designer" add-on How to set colors to canvas and elements? How to add colors in the palette? Where can I set up a color palette for fonts, cliparts, sticker background? 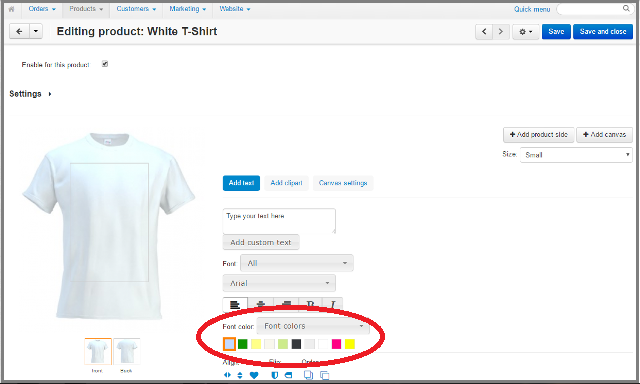 A color palette is a range of colors you can use while product customizing process. You can create as many color palettes as you want. In addition, you can specify what color palette refers to: text, cliparts, special cliparts and etc. You can adjust these color palettes according to your demands. 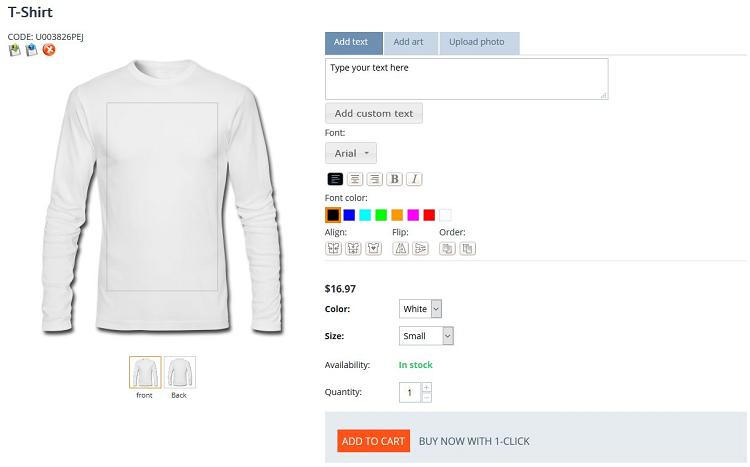 Go to Website -> Product Designer -> "Color palette" to create the color scheme. Status - Active - the color palette is available to work with; Disabled - unavailable to work with. Colors are specified as an RGB triplet in hexadecimal format with a color picker. 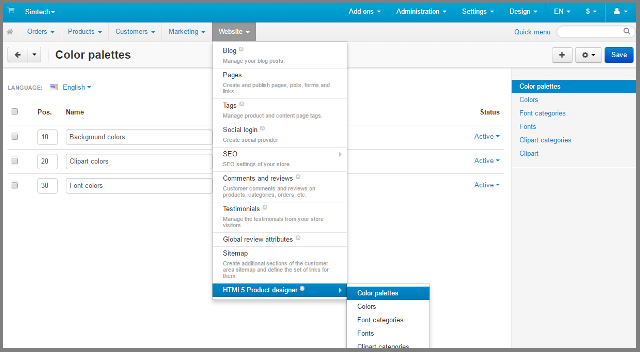 In the admin panel, go to Website ->HTML5 Product designer -> "Colors". Or just click "Colors" in the right-hand menu, if you have already opened the section HTML5 Product Designer. 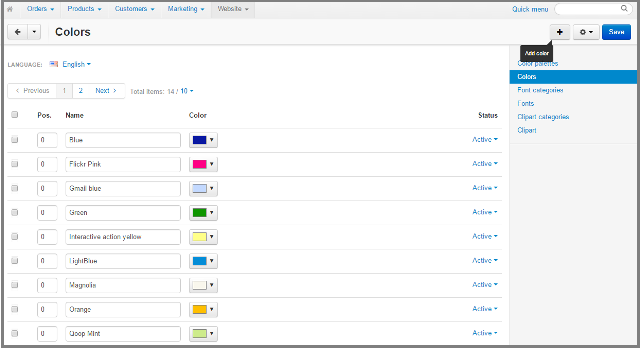 On this page, you can edit/delete colors and choose a color status (Active or Disabled). Click "Plus" button to add a new color. Name - Make up a name for a color or use the official color names. Color - Click the color button and pick the color from a table or use a color picker, that is located on the right. Also, you can enter the hex code in the field and the required color will be displayed at once. Click on the "choose" button to save the selected color. 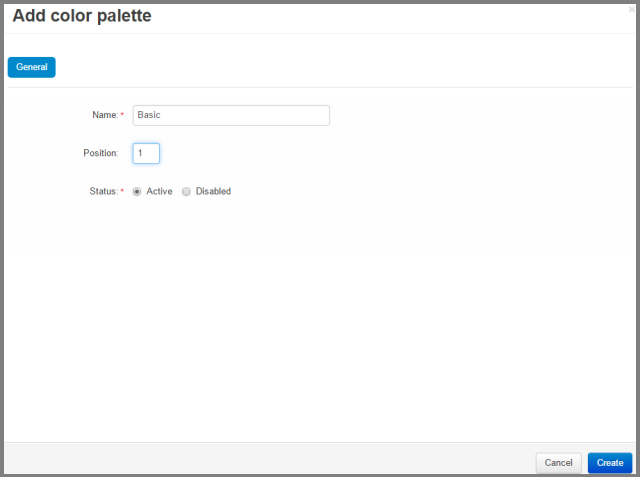 Color palettes - Your created color palettes will be displayed here. Tick color palettes to which you would like to assign this color. You may choose several color palettes at once. Position - define the place of a new color in the list of all colors. Where can I set up a color palette for fonts, cliparts, sticker backgroud? If you have already created a product for personalization, you can set up a color palette for fonts, cliparts and sticker background. 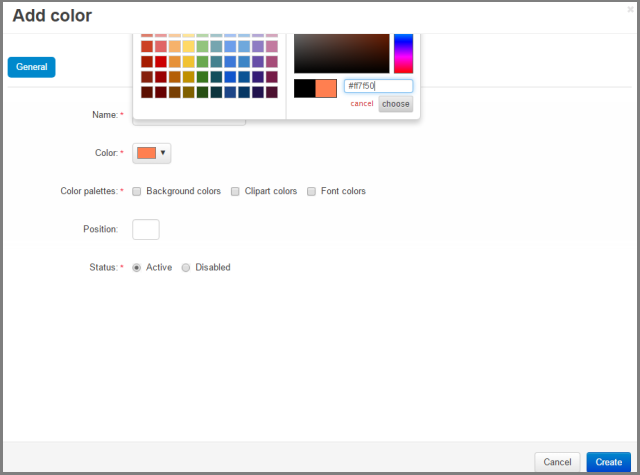 You can set up one of your created color palettes in HTML5 Product designer tools display panel. 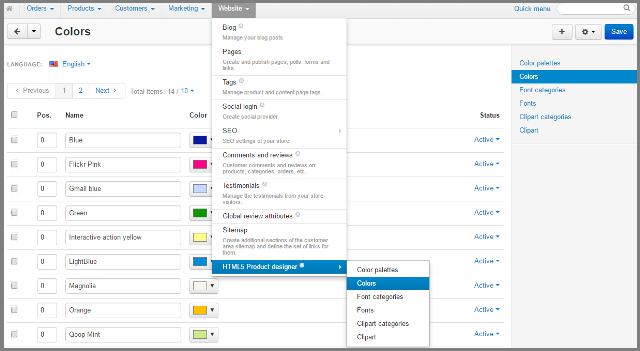 You can see Product designer tools display panel in the admin panel on editing product page -> "HTML5 Product designer" tab.